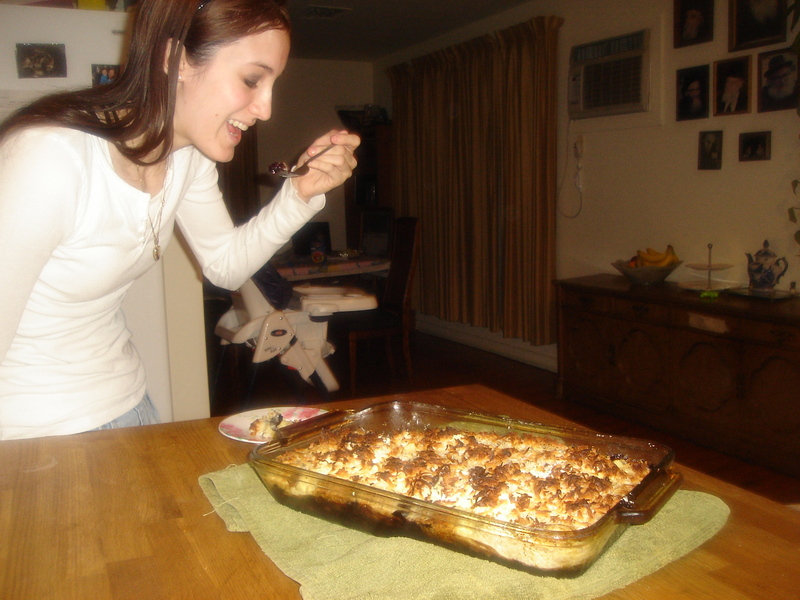 Dump Cake: I am not kidding you. It’s good! I been cookin’ in the kitchen since I had to stand on a step stool to reach the sink. My mother went out to work and left a bunch ‘a little kids and came home with father expecting a prepared dinner complete with soup and salad. I remember being 10 when it was my turn to get that meal on the table. Needless to say I thank my mother for givin’ me a life long skill which has served me well. 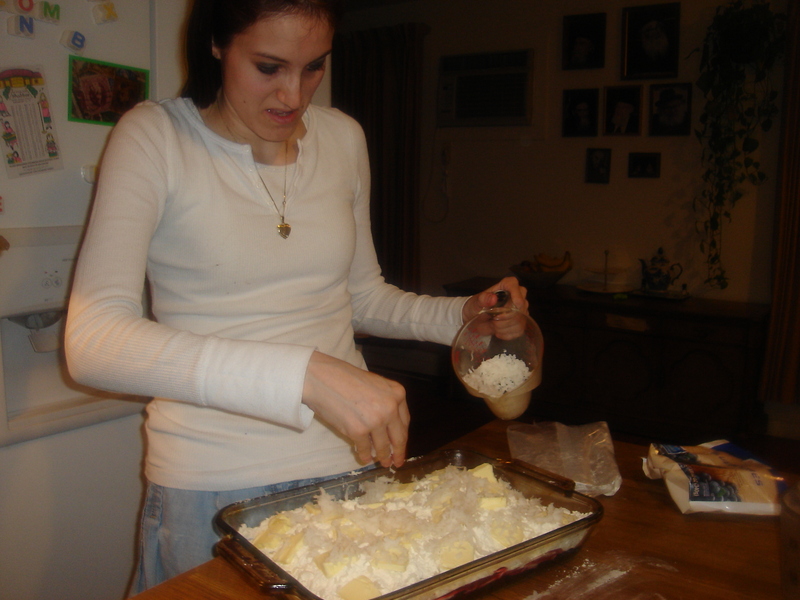 One of the first desserts I ever learned to make is so simple a child could do it…and did. That is a load of baloney. 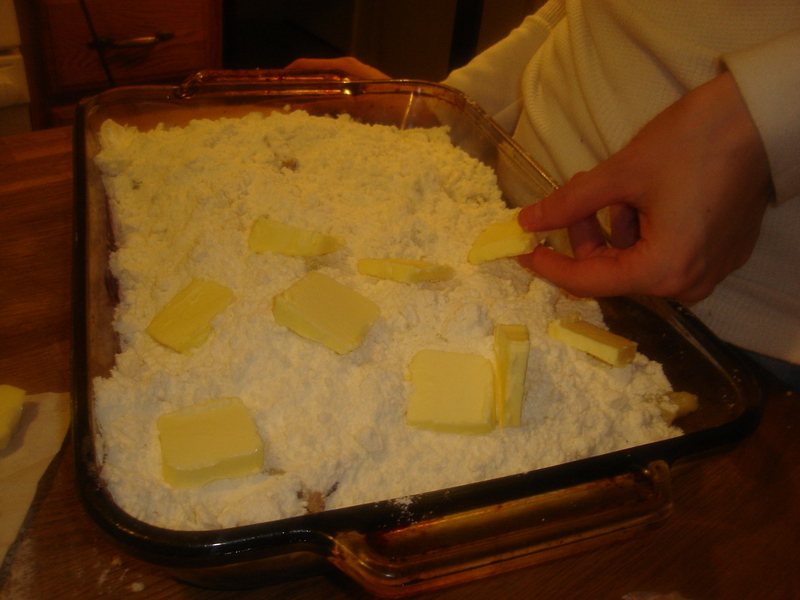 Bakin’ is cookin’ like anything else. 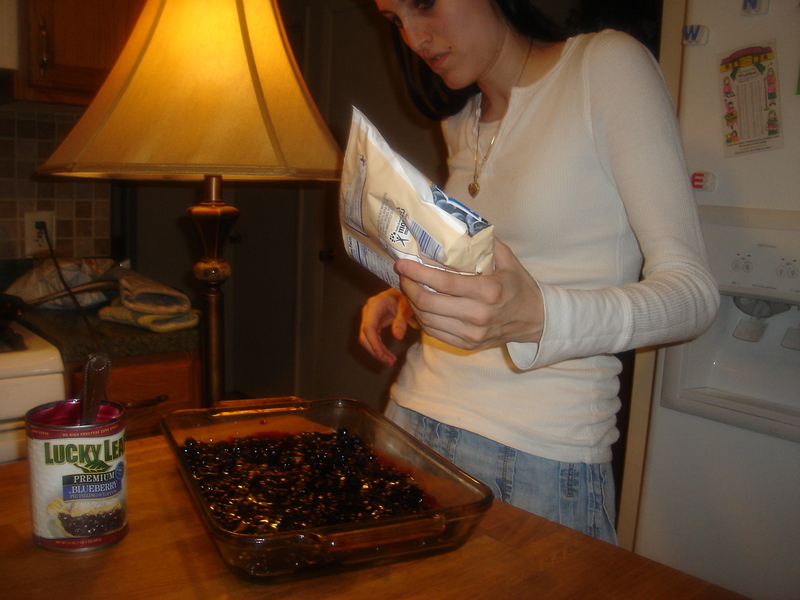 2. pour the frozen berries over the pie filling. 3. 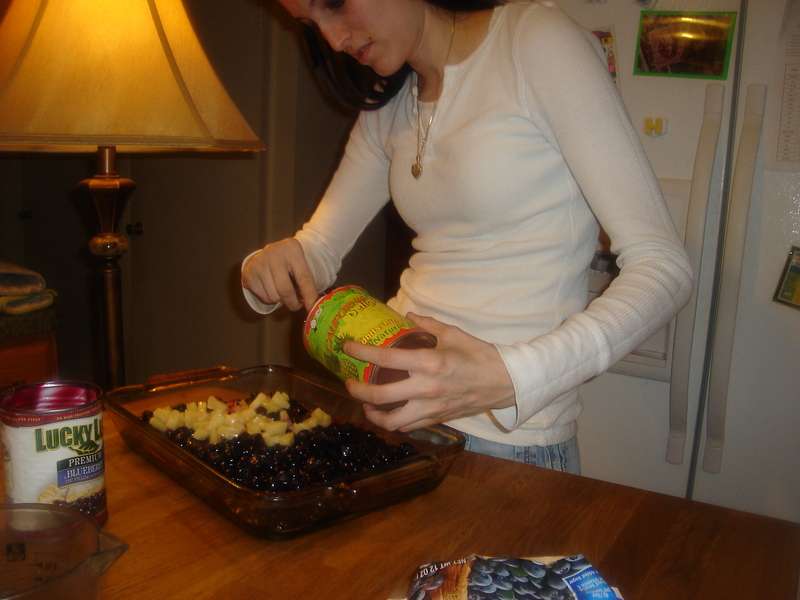 Pour the pineapple over the berries. 4. 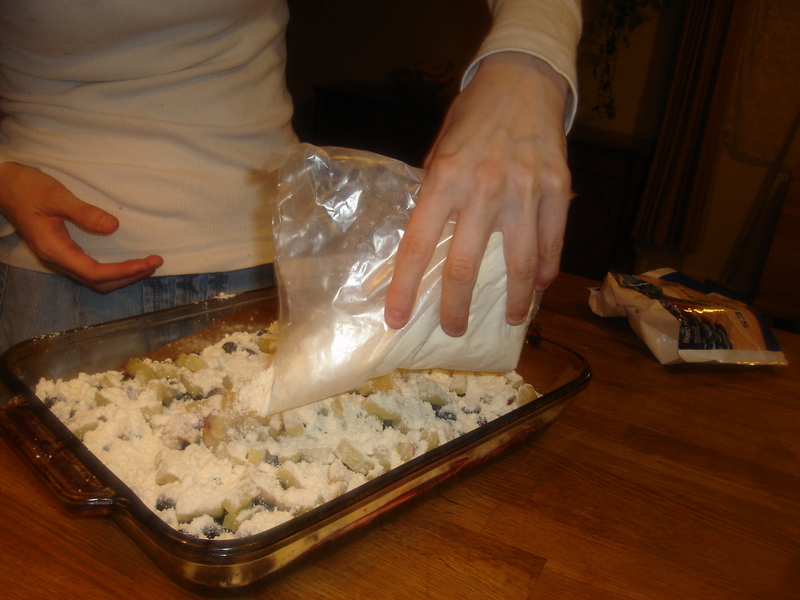 Pour the cake mix over the fruit. 5. 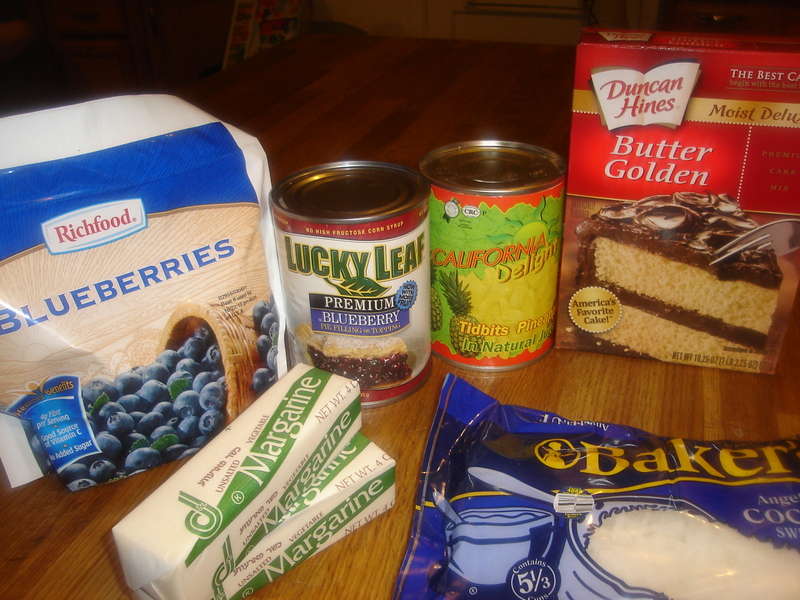 Slice the Margarine or butter and put slices all over the top of the cake mix. 6. Sprinkle coconut over the top. 7. 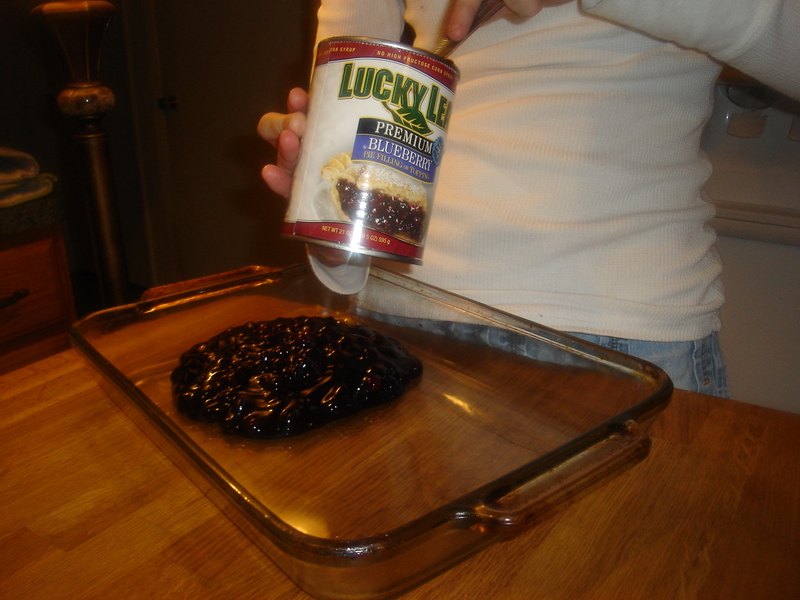 Bake at 350 F for 40 minutes. This is gmom and daughter Eggs coming to you with love and Dump cake from (it’s snowin’ now) Baltimore. We are cookin’ easy being busy as we are with new baby Li. But watch for more good eatin’ coming your way on New Mind Snack.